• The number of children being brought to school gas increased over 200 percent the last 30 years. • The number of cars has increased 25 percent over the last 20 years. • The number of kilometres per citizen in an average year has dropped 10 percent the last 10 years. Depressive reading when you are out of a biking family, even in spite of having two cars. We remember all too well the many rides to and from school, sports and friends. 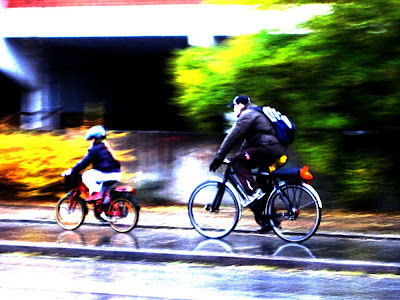 In rain and snow, no matter the conditions, we were on our bikes. If it had snow during the night, we had to dig our way with our cold, bare, frosty hands… Or something like that.